The Vionic Amber White sandals are supportive of four points of adjustability. 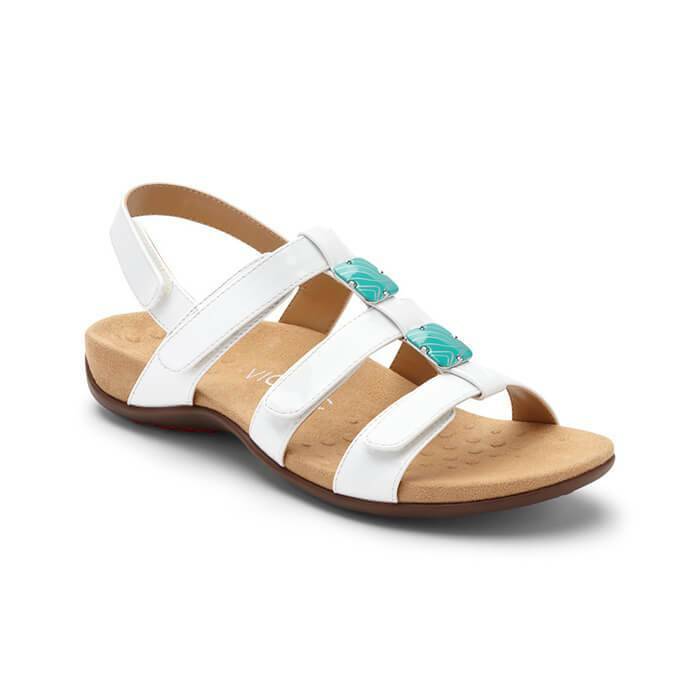 These women’s sandals offer a completely customizable fit. They feature matching enamel beads to the front between the three rip tape fastening straps. A strap around the heel adds secure support. With soft microfiber footbeds and lightweight, grippy soles underfoot, the Vionic Amber sandals are designed with innovative Orthaheel Technology for superior support and stability, helping to relieve aches and pains from unnatural foot positioning.